Chef Rose Lloyd-Owen shares her vision for a sustainable future in the catering industry, and the scoop on Fare Healthy, London’s first wellbeing festival with a minimal waste philosophy. We live in a world of plenty where what to have for dinner is an exercise in existential angst and where avocado is so ubiquitous it’s now considered passé. But the ugly truth is that this is also a world where one third of food produced each year is wasted, while more than 2.6 million children under five go hungry. 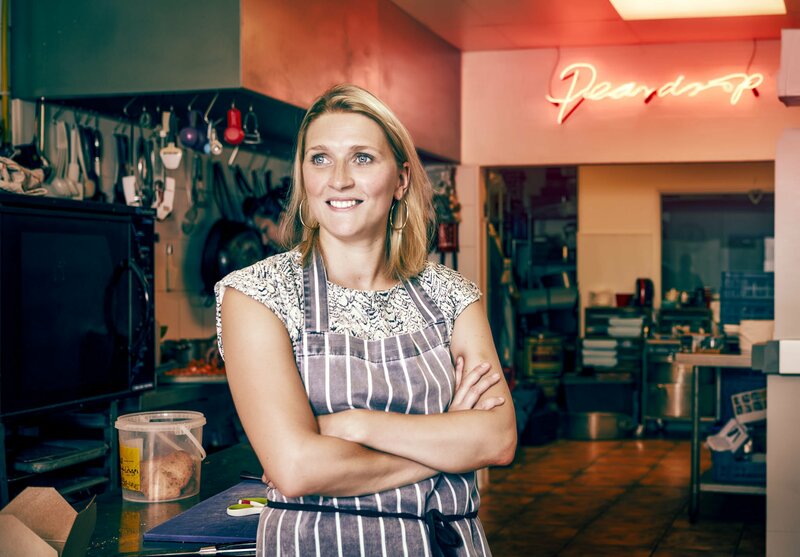 Rose Lloyd-Owen, chef and owner at Peardrop, a catering company founded on a love of natural, unprocessed foods, is challenging this status quo. With a zero food waste policy (freezing, pickling, preserving, dehydrating, donating and reinventing leftovers are all integral to the ethos of the brand) and a determination to use only ethically sourced produce, Rose embodies the Marble LDN mantra of sustainability, and has taken things one step further with a whole festival dedicated to good stuff. Founded in 2016, Fare Healthy is all about inspiring a tolerant, inclusive and balanced attitude to mind, body and soul, with an uncompromising attitude towards sustainability. Rose explains: “I wanted to share all the amazing things I was witnessing in the wellbeing world. I recognised that that there is no fixed formula for health. It’s not clean or skinny or vegetarian or gluten-free. It’s not daily yoga, militant meditation or marathons – and nor need it be expensive.” Rose’s balanced attitude clearly struck a chord: Fare Healthy attracted some 5000 people this year for a feast of wellbeing workshops, demos and activations from more than 100 brands including Jax CoCo, Vitamix, and The Soil Association, alongside a series of zero waste supperclubs from guest chefs such as Gil Mellor, Ellie Pear, and Justin Horne. Growing a festival of that size on a shoestring budget and with limited resources was “a struggle”, says Rose. “I was responsible for designing the whole event, but I was also having to do all of the marketing, which meant that there was no time left to design.” This is where Marble LDN stepped in – and the usual client/contractor roles were reversed. “I wanted a beautiful festival experience and needed help. I approached Marble LDN for a few sofas, which then mushroomed into AV and technical support. Before long they had costed up an entire packgage, measured up the venue and sent over a presentation of ideas – all within a week, and all under budget.” The end result was a truly collaborative event that perfectly encapsulated the upcycle vibe, “a world away from the corporate feel at other festivals,” and a space to celebrate life, our responsibility to each other and the planet. Stay tuned for Fare Healthy 2018.